Now that the days and nights are getting colder. My husband has got a bit bored of sandwiches for lunch. 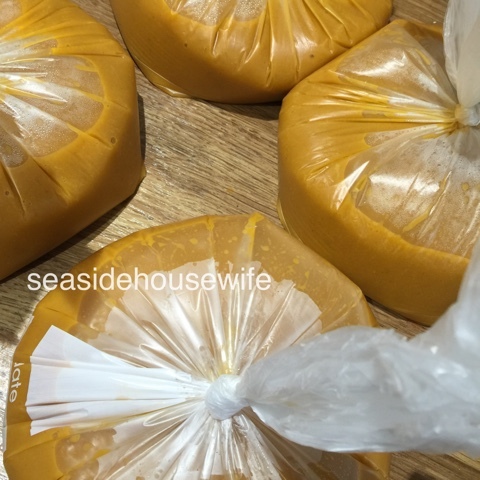 So I though, a good spicy soup would make a good lunch, along with my lovely buns! 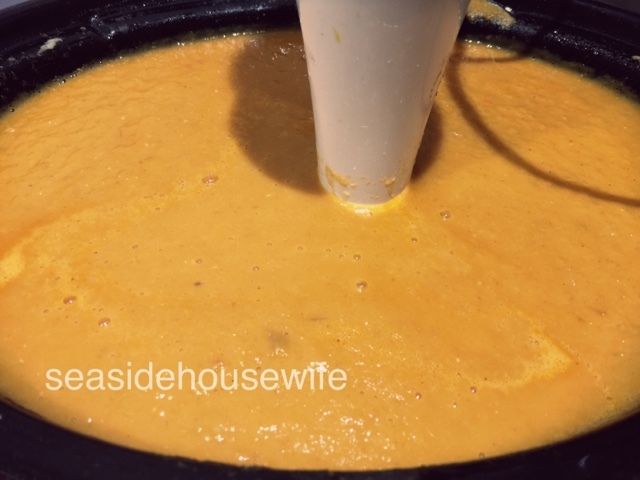 So here it is, easy slow cooked warm winter soup. I've not made it overly spicy, just warming. So feel free to add some chillis! Chop into large chunks and throw it all in the slow cooker on low over night. Then in the morning blend! Soup, perfect to freeze down, perfect for lunch with my lovely buns! You can add a little chili powder or chilles to give it more of a kick. Add pepper or sea salt as you like. If cooking in the day a good 6-8 hours will do. 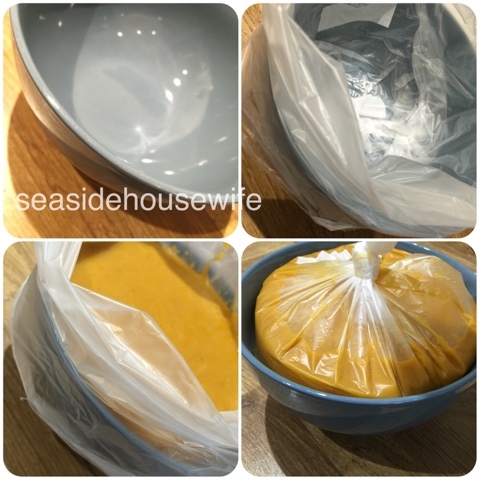 Take a soup bowl and pop in a freezer bag, then ladle in the soup. Tie it up and leave it to cool before popping in the freezer. Perfect to take into work for lunch, cheap, yummy and easy! (You can take them out the night before to defrost and then just re-heat at work or depending on what you have at work, defrost them there.